Organized at New Albany and Indianapolis, Ind., February 19 to March 6, 1862. Guard prisoners at Indianapolis until March 15. Ordered to Savannah, Tenn., March 15. Attached to 2nd Brigade, 4th Division, Army of the Tennessee, to July, 1862. 2nd Brigade, 4th Division, District of Memphis, Tenn., to September, 1862. 2nd Brigade, 4th Division, District of Jackson, Tenn., to November, 1862. 3rd Brigade, 4th Division, District of Jackson, Tenn., 13th Army Corps (Old), Dept. of the Tennessee, to December, 1862. 3rd Brigade. 4th Division, 17th Army Corps, to January, 1863. 3rd Brigade, 4th Division, 16th Army Corps, to July, 1863. 3rd Brigade, 4th Division, 13th Army Corps, to August, 1863. 3rd Brigade, 4th Division, 17th Army Corps, to May, 1864. 1st Brigade, 4th Division, 17th Army Corps, to July, 1865. SERVICE.--Advance on and siege of Corinth, Miss., April 29-May 30, 1862. March to Memphis, Tenn., via Grand Junction, LaGrange and Holly Springs, June 1-July 21, and duty there until September 6. March to Jackson and Bolivar, Tenn., September 6-14. 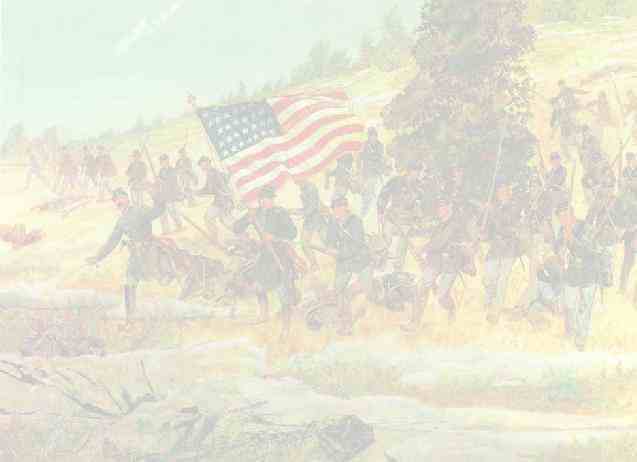 Battle of Metamora, Hatchie River, October 5. Grant's Central Mississippi Campaign. Operations on the Mississippi Central Railroad November, 1862, to January, 1863. Duty at Colliersville and Memphis until April. Ordered to Young's Point, La., thence to Grand Gulf, Miss., and duty there until June 12. Siege of Vicksburg, Miss., June 15-July 4. Advance on Jackson, Miss., July 4-10. Siege of Jackson July 10-17. Reconnaissance to Pearl River July 15. Duty at Vicksburg until August 15. Ordered to Natchez, Miss., August 15, and duty there until November 24. Expedition to Harrisonburg September 1-8. Near Harrisonburg and capture of Fort Beauregard September 4. Ordered to Vicksburg, Miss., November 24, and duty there until February, 1864. Meridian Campaign February 3-March 2. Veterans on furlough March and April. Moved to Bird's Point, Mo., April 28; thence to Clifton, Tenn., and march to Ackworth, Ga., via Huntsville and Decatur, Ala., and Rome, Ga., May 5-June 9. Atlanta (Ga.) Campaign June 9-September 8. Operations about Marietta and against Kenesaw Mountain June 10-July 2. Assault on Kenesaw June 27. Nickajack Creek July 2-5. Turner's Ferry July 5. Chattahoochie River July 5-17. Leggett's or Bald Hill July 20-21. Battle of Atlanta July 22. Siege of Atlanta July 22-August 25. Flank movement on Jonesboro August 25-31. Battle of Jonesboro August 31-September 1. Lovejoy Station September 2-6. Operations against Hood in North Georgia and North Alabama September 29-November 3. Shadow Church and Westbrook's, near Fairburn, October 1-3. March to the sea November 15-December 10. Ball's Ferry and Georgia Central Railroad Bridge, Peones River, November 23-25. Siege of Savannah December 10-21. Campaign of the Carolinas January to April, 1865. Salkehatchie Swamps, S.C., February 2-5. Rivers Bridge, Salkehatchie River, February 3. South Edisto River February 9. North Edisto River February 12-13. Columbia February 16-17. Fayetteville, N. C., March 11. Averysboro March 16. Battle of Bentonville March 19-21. Occupation of Goldsboro March 24. Advance on Raleigh April 10-14. Occupation of Raleigh April 14. Bennett's House April 26. Surrender of Johnston and his army. March to Washington, D.C., via Richmond, Va., April 29-May 20. Grand Review May 24. Moved to Louisville, Ky., June, and there mustered out July 21, 1865. Regiment lost during service 9 Officers and 98 Enlisted men killed and mortally wounded and 4 Officers and 248 Enlisted men by disease. Total 359.